I have a farmer’s tan. I’m not complaining, simply stating the facts that accompany walking approximately 15 miles a day for days on end. Unlike many of my companions, I don’t have blisters, probably due to finding the right shoes and socks. Knock on wood. Unlike those of many of the people I encounter, my quads aren’t shot despite the challenging descents (many thanks to the people who accompanied me on challenging training hikes). Surprisingly, I haven’t had a sunburn. Earlier today I remarked to Olalla, shortly after reaching the halfway point of today’s walk, “Hey, guess what? We’re walking. And guess what we’re going to do after lunch? 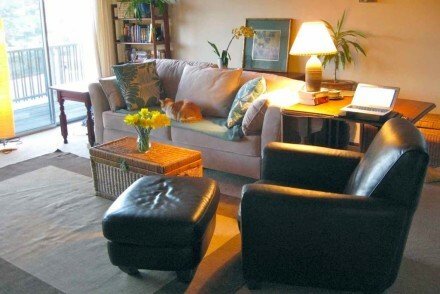 We’re going to walk some more.” She laughed and replied that it does seem like a strange to do, day in and day out. But despite the discomforts and the oddity of what we are doing, it’s amazing. Amazing to be outside all day, amazing to continually be greeted with the traditional, “Buen Camino” by people from all over the world, amazing to see backpacks lined up outside cafés and to hear conversations about everything in all sorts of languages. Olalla and I reminisce often about our first days on the Camino. Fondly we remember the picnics, the jokes, the eye-opening conversations, the intense conversations, the debates, the shared meals, and the incredible pastoral mountain vistas. It hardly seems possible that only 24 hours have passed since we left Pamplona. 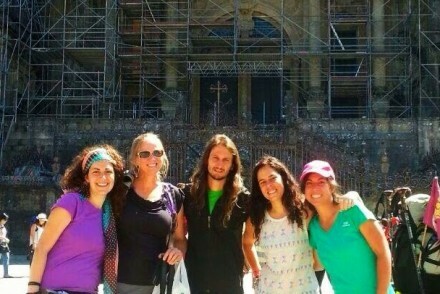 We note that time on the Camino seems to pass differently than in our regular lives. Days are measured in kilometers, minutes of shade, stretches of forest or fields, people encountered, and steps taken. 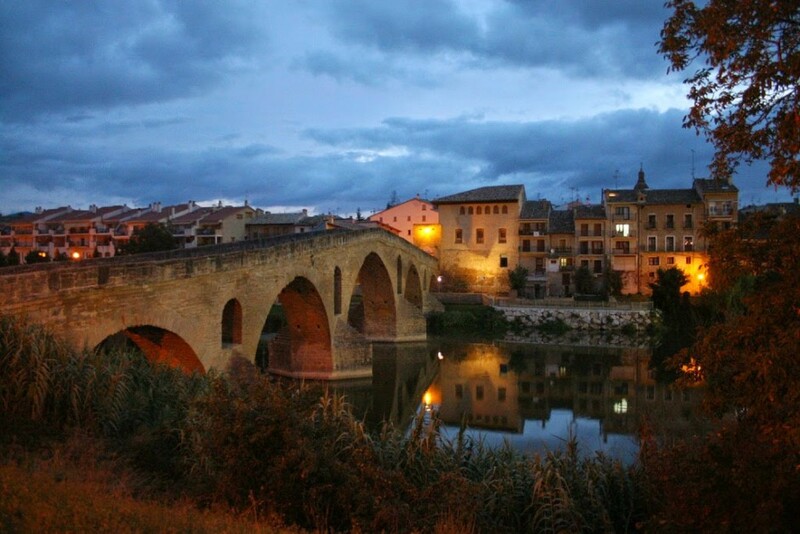 Today Olalla and I stopped for the night in Puente la Reina, a quaint stone town on the bank of a river. The narrow streets are cobbled in brown stones and a majority of the windows and balconies boast gorgeous red geraniums. 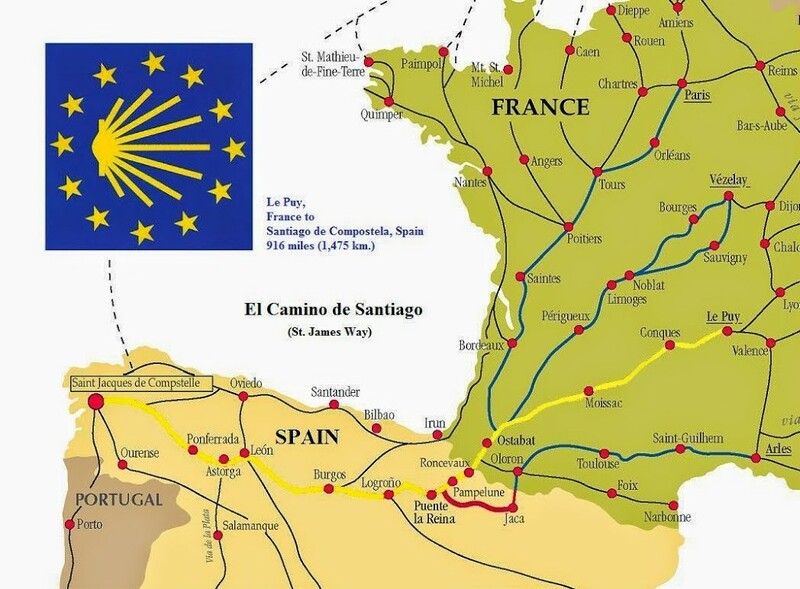 It is my understanding that Puente la Reina is where two Caminos, the Aragonés and the Francés (which seems to be the final leg of several different Caminos from all over Europe) converge before continuing on to Santiago de Compostela. 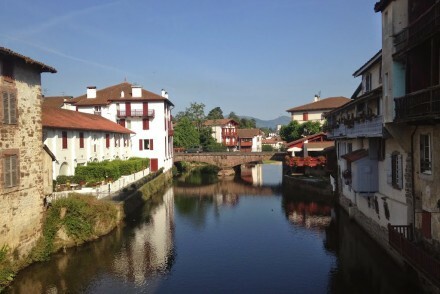 Tonight we will stay in the dormitories of the municipal albergue (typical accommodations on the Camino) and will in all likelihood be lulled to sleep by the cacophonous symphony of snores that seems to fill the dormitories along the Way. As I type, I am surrounded by pilgrims from all over the world. Sharing my table in the kitchen of the hostel is a group of men from Poland, while behind us, at another table, our two friends from Mexico, Yeni and Ana, enjoy a lively conversation with a Peruvian. Two Spaniards share information about the Camino “stages” and a group of women from South Korea just finished washing up after their homemade meal of pi bim bap, one of my favorite dishes. Day 5. Dining room of Albergue de Los Padres Reparadores in Puente de La Reina. Day 5. Headed out into the rain for dinner. Read a description of today’s walk from Pamplona here. 2014/9/8 I never did find out what was going on with my feet. Eventually, however, it cleared up. Bed bugs!? What can u do? Hi Sara! 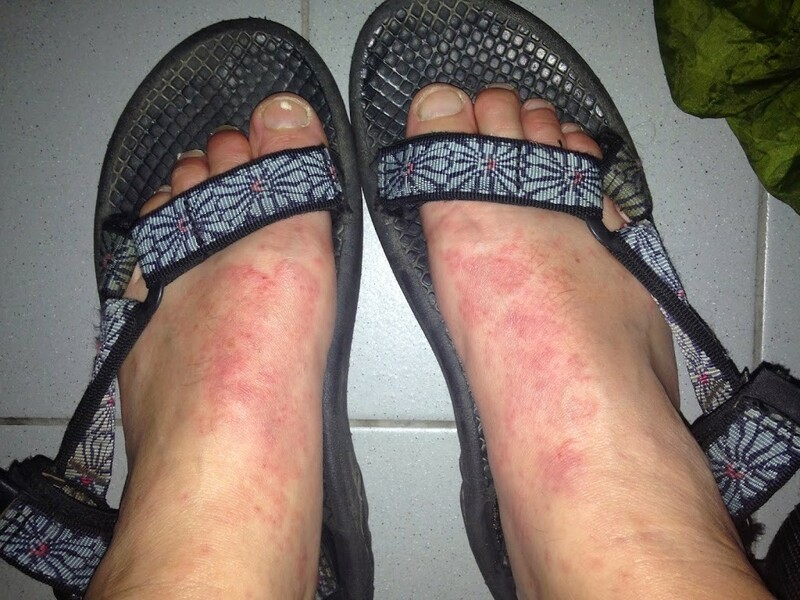 It turned out to be heat rash rather than bed bugs, thankfully! Where can I find some of your post between departure and My Feet Hurt? 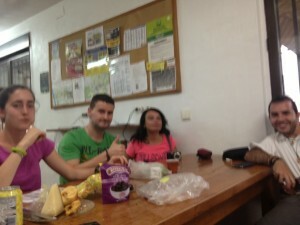 When did you do your camino last year? I was there July 2 to August 2, you must have been a few weeks ahead of me and my sister. Did you run into the Pepperdine folks by chance? I believe that I did, Michael, en Carrion de los Condes. They were a very nice group of young people. It definitely changed the dynamic to be around such a large group. It changed the dynamic’s for us too since they were our first big group. We found them to be very nice, easy to talk to and when we needed help at one point, they were there. 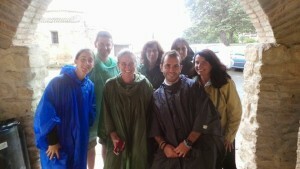 A good group of people which was not always the case, especially after Sarria. 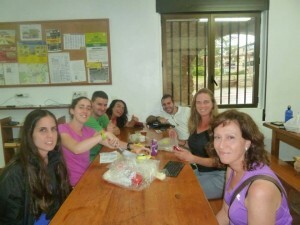 What was your experience with groups after Sarria? I ended up walking two stages in one day both to leave that group behind and to catch up to my “family”, which I had lost when I took a layover day in Boadilla to wait for an injured friend. As nice as the individuals in that group were, I preferred going “group-less”. The other thing was that it was very strange to be around so many people from the U.S. as up until that point, I’d only encountered a few North Americans, here and there. While I encountered some large groups here and there on the Camino itself after Sarria, other than a group of Mexican high school students I had met in Astorga, I didn’t really encounter too many groups. It was definitely more crowded at some points though. I don’t have much interest in repeating that section this year so will probably catch a bus to Santiago when I hit Arzua on the Norte.